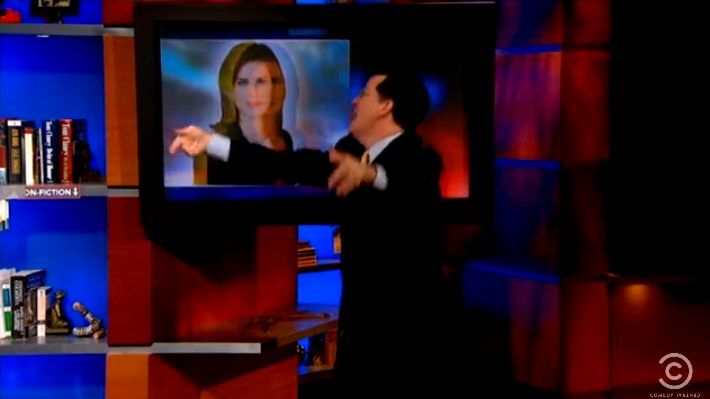 Cable news shows love to show off their fancy new “flick technology” — moving things around on their screens with the flick of a finger, or even from screen to screen — ooh! But they’re just amateurs. 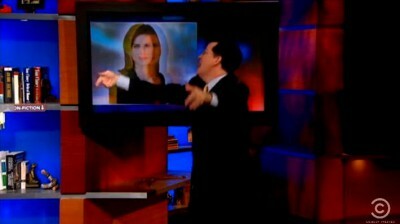 Colbert shows CNN how it’s done.